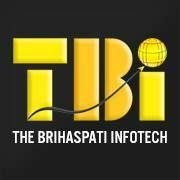 The Brihaspati Infotech Pvt. Ltd - TBI brings years of cross-industry expertise to customized web & mobile technologies, software development and consulting services. Above Web Design provides web design, development and SEO services, located in Fort Lauderdale Florida. With over 20 years of experience, we can help you get your business online. Hakuna Matata is Indian based leading mobile app development company with branches in USA and Australia. Hakuna Matata creates attractive, resilient products for its clients through proven methods. SEO Ninja, located in Florida, USA is one of the most recognized digital marketing agencies. Initiated years back, the company believes in providing solutions that are simple, transparent.